Museum-lovers will get to explore Casa Batllo and Museu Nacional d'Art de Catalunya - MNAC. Popular historic sites such as Basilica of the Sagrada Familia and El Barri Gòtic are in your itinerary. There's still lots to do: appreciate the history behind Casa Mila - La Pedrera, explore the historical opulence of Montjuic Castle, stroll through Park Guell, and admire the striking features of Palau Guell. To find reviews, photos, ratings, and other tourist information, use the Barcelona holiday planner. Dubuque, USA to Barcelona is an approximately 17.5-hour flight. Due to the time zone difference, you'll lose 7 hours traveling from Dubuque to Barcelona. In October, Barcelona is somewhat warmer than Dubuque - with highs of 73°F and lows of 60°F. Wrap up your sightseeing on the 16th (Wed) early enough to travel to Venice. Visit Doge's Palace and Scrovegni Chapel for their historical value. Museum-lovers will get to explore Peggy Guggenheim Collection and Gallerie dell'Accademia. Step out of Venice with an excursion to Basilica di Sant’Antonio in Padua--about 52 minutes away. There's lots more to do: don't miss a visit to St. Mark's Square, explore the world behind art at Ca' d'Oro, see the interesting displays at Museo Ebraico di Venezia, and steep yourself in history at Centro Storico di Venezia. To find other places to visit, ratings, photos, and more tourist information, you can read our Venice road trip planning website . Getting from Barcelona to Venice by flight takes about 5 hours. Other options: do a combination of flight and train; or drive. Expect little chillier temperatures when traveling from Barcelona in October; daily highs in Venice reach 66°F and lows reach 51°F. Finish your sightseeing early on the 21st (Mon) so you can take a train to Florence. Deepen your sense of the past at sights like Cathedral of Santa Maria del Fiore and The Baptistery of St. John. Museum-lovers will get to explore Uffizi Galleries and Basilica di Santa Croce. When in Florence, make a side trip to see Siena Cathedral in Siena, approximately 1h 15 min away. The adventure continues: see the interesting displays at Galleria dell'Accademia, ponder the world of politics at Museo Nazionale del Bargello, pause for some serene contemplation at Chiesa e Museo di Orsanmichele, and explore the historical opulence of Palazzo Vecchio. To see more things to do, maps, traveler tips, and more tourist information, you can read our Florence trip maker tool . You can take a train from Venice to Florence in 2.5 hours. Other options are to drive; or take a bus. October in Florence sees daily highs of 71°F and lows of 54°F at night. Wrap up your sightseeing on the 25th (Fri) to allow time to take a train to Rome. Vatican Museums and Colosseum will appeal to history buffs. Galleria Borghese and Sistine Chapel will appeal to museum buffs. Explore Rome's surroundings by going to Tivoli (Villa d'Este & Villa Adriana). Next up on the itinerary: steep yourself in history at St. Peter's Basilica, explore the different monuments and memorials at Catacombe di San Callisto, don't miss a visit to Roman Forum, and delve into the distant past at Palatine Hill. For where to stay, ratings, traveler tips, and tourist information, refer to the Rome trip maker tool . Take a train from Florence to Rome in 1.5 hours. Alternatively, you can drive; or fly. Expect a daytime high around 73°F in October, and nighttime lows around 55°F. Wrap up your sightseeing on the 31st (Thu) early enough to travel to Athens. Acropolis of Athens and Ancient Agora of Athens will appeal to history buffs. 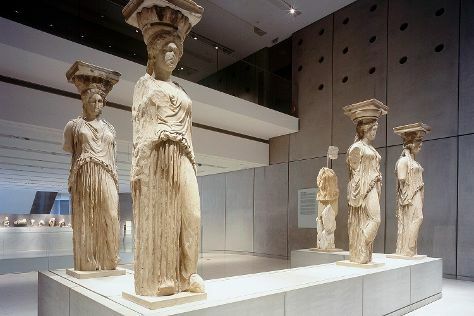 Acropolis Museum and Museum of Cycladic Art will appeal to museum buffs. The adventure continues: admire the masterpieces at National Archaeological Museum, delve into the distant past at Temple of Hephaestus, appreciate the history behind Erechtheion, and get engrossed in the history at Byzantine & Christian Museum. To see photos, reviews, traveler tips, and tourist information, read Athens travel route planner . Traveling by combination of train and flight from Rome to Athens takes 5.5 hours. Alternatively, you can fly; or do a combination of train and flight. The time zone difference when traveling from Rome to Athens is 1 hour. Traveling from Rome in November, you can expect nighttime temperatures to be somewhat warmer in Athens, with lows of 55°F. Finish your sightseeing early on the 4th (Mon) so you can travel to Istanbul. Museum-lovers will get to explore Hagia Sophia Museum / Church (Ayasofya) and Topkapi Palace. Visit Sultan Ahmed Mosque and Basilica Cistern for their historical value. And it doesn't end there: take an in-depth tour of Kariye Museum (The Chora Church), contemplate the long history of Historic Areas of Istanbul, enjoy breathtaking views from Galata Tower, and take a stroll through Ortakoy. To find photos, traveler tips, maps, and more tourist information, use the Istanbul travel route builder . Fly from Athens to Istanbul in 5 hours. Alternatively, you can do a combination of flight and shuttle; or drive. The time zone changes from Eastern European Time (EET) to Eastern European Time (EET), which is usually a 1 hour difference. When traveling from Athens in November, plan for a bit cooler days in Istanbul, with highs around 58°F, while nights are about the same with lows around 58°F. Finish your sightseeing early on the 10th (Sun) to allow enough time to travel to Budapest. Your inner history buff will appreciate Fisherman's Bastion and St. Stephen's Basilica (Szent Istvan Bazilika). House of Terror Museum and Hungarian National Gallery (Magyar Nemzeti Galeria) will appeal to museum buffs. The adventure continues: take in the spiritual surroundings of Matthias Church, appreciate the extensive heritage of Janoshegy, make a trip to Hősök tere, and get a sense of history and politics at Parliament. For photos, more things to do, ratings, and other tourist information, read our Budapest vacation site . Getting from Istanbul to Budapest by flight takes about 6 hours. Other options: do a combination of shuttle and flight; or drive. Due to the time zone difference, you'll gain 2 hours traveling from Istanbul to Budapest. When traveling from Istanbul in November, plan for little chillier days and colder nights in Budapest: temperatures range from 50°F by day to 36°F at night. Finish up your sightseeing early on the 15th (Fri) so you can travel to St. Petersburg. Deepen your sense of the past at sights like Saint Isaac's Cathedral and Peter and Paul Cathedral Петропавловский собор. Appreciate the collections at State Hermitage Museum and Winter Palace and The Bath Block. There's lots more to do: examine the collection at Russian Museum, admire the masterpieces at Peterhof Grand Palace, take an in-depth tour of Yusupov Palace, and take in the architecture and atmosphere at Church of the Savior on Spilled Blood. For photos, more things to do, traveler tips, and other tourist information, read St. Petersburg day trip planning tool . Fly from Budapest to St. Petersburg in 6.5 hours. Alternatively, you can drive; or take a train. The time zone difference moving from Central European Time to Moscow Standard Time is 2 hours. Expect slightly colder temperatures when traveling from Budapest in November; daily highs in St. Petersburg reach 37°F and lows reach 30°F. Wrap up your sightseeing on the 21st (Thu) early enough to travel to Prague. Visit Prague Castle and St. Vitus Cathedral for their historical value. Jewish Museum in Prague and Lobkowicz Palace will appeal to museum buffs. Take a break from Prague with a short trip to Cathedral of St. Barbara in Kutna Hora, about 1h 20 min away. And it doesn't end there: take some stellar pictures from Prague Astronomical Clock, appreciate the history behind Vyšehrad National Cultural Monument, take in the spiritual surroundings of Spanish Synagogue, and browse the exhibits of National Gallery in Prague. For traveler tips, other places to visit, reviews, and other tourist information, read our Prague online trip itinerary planner . You can fly from St. Petersburg to Prague in 6 hours. Alternatively, you can drive; or take a train. Traveling from St. Petersburg to Prague, you'll gain 2 hours due to the time zone difference. Traveling from St. Petersburg in November, things will get a bit warmer in Prague: highs are around 46°F and lows about 36°F. Finish your sightseeing early on the 25th (Mon) so you can travel to Paris. Popular historic sites such as Cathédrale Notre-Dame de Paris and Arc de Triomphe are in your itinerary. Museum-lovers will get to explore Louvre Museum and Centre National d'Art et de Culture George Pompidou. Explore Paris' surroundings by going to Versailles (Palace of Versailles & The Trianons & The Hamlet). There's much more to do: see the interesting displays at Musee d'Orsay, get a taste of the local shopping with Champs-Elysees, contemplate the long history of The Catacombs of Paris, and don't miss a visit to Eiffel Tower. 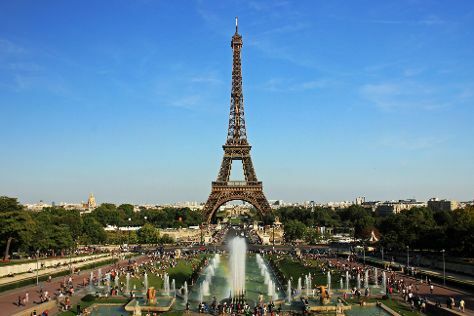 To find more things to do, traveler tips, photos, and tourist information, go to the Paris attractions tool . Fly from Prague to Paris in 5 hours. Alternatively, you can do a combination of flight and shuttle; or drive. Plan for somewhat warmer nights when traveling from Prague in November since evenings lows in Paris dip to 42°F. Finish up your sightseeing early on the 1st (Sun) so you can catch the train to Brussels. Museum-lovers will appreciate MIM - Musical Instruments Museum and René Magritte Museum. Deepen your sense of the past at sights like Grand Place and Historic Centre of Brugge. Step out of Brussels to go to Bruges and see Holy Savior Cathedral (Sint-Salvatorskathedraal), which is approximately 1h 50 min away. Next up on the itinerary: take in the spiritual surroundings of St. Michael and St. Gudula Cathedral (Cathedrale St-Michel et Ste-Gudule), don't miss a visit to Atomium, get in on the family fun at Mini-Europe, and steep yourself in history at Maison d'Erasme. For other places to visit, traveler tips, photos, and more tourist information, read Brussels online road trip planner . Getting from Paris to Brussels by train takes about 1.5 hours. Other options: fly; or drive. In December in Brussels, expect temperatures between 43°F during the day and 35°F at night. Wrap up your sightseeing on the 6th (Fri) to allow time to take a train to Amsterdam. 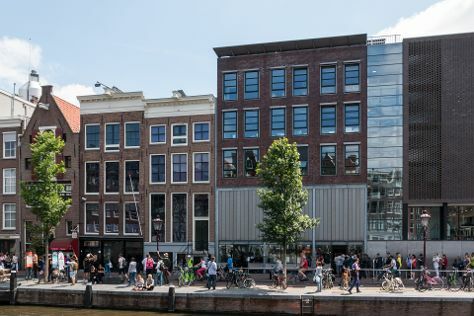 Anne Frank House and Begijnhof will appeal to history buffs. You'll explore and learn at Rijksmuseum and The Resistance Museum (Amsterdams Verzetsmuseum). Explore Amsterdam's surroundings by going to Grote Markt (in Haarlem) and The Mauritshuis Royal Picture Gallery (in The Hague). There's still lots to do: admire the masterpieces at Van Gogh Museum, take in the architecture and atmosphere at De Duif, steep yourself in history at Museum Het Rembrandthuis (Rembrandt House), and tour the pleasant surroundings at Vondelpark. To see ratings, maps, reviews, and tourist information, you can read our Amsterdam online vacation builder . Getting from Brussels to Amsterdam by train takes about 2 hours. Other options: drive; or fly. In December, daily temperatures in Amsterdam can reach 47°F, while at night they dip to 38°F. Wrap up your sightseeing by early afternoon on the 10th (Tue) to allow enough time to travel back home.